China’s relations with Japan have taken a new toll with Japan’s plan to extend patrols in the South China Sea. Japan with no direct territorial interests in the South China Sea has embarked a new wave of tensions in the troubled waters where China is in dispute with other claimants – Philippines, Vietnam, Taiwan, Malaysia and Brunei. This strategic interest of Japan beyond its territorial borders has sparked new upheavals in China’s animosity towards Japan which is already burdened by historical and territorial grievances. Japan recently spelled its interest to conduct air and sea patrols in the South China Sea. This is an outcome of United States endorsement to welcome a Japanese extension of air patrols into the South China Sea as a counterweight to China’s increasing military muscle-flexing and expanding territorial claims in the region. As on 29 January 2015, flagging this idea of Japan as a counterweight to China, Vice-Admiral Robert Thomas, Commander of the US Seventh Fleet in Asia stated: “I think allies, partners and friends in the region will look to the Japanese more and more as a stabilizing function” as “[i]n the South China Sea, frankly, the Chinese fishing fleet, the Chinese coastguard and the (navy) over-match their neighbors” and therefore, the “JSDF (Japan Maritime Self Defence Forces) operations in the South China Sea makes sense in the future”. In line with the US ambition of Japan, Japanese Defence Minister Gen Nakatani remarked: “We currently do not patrol there or have a plan to do so, but we are deepening our cooperation with the U.S. and the situation in the South China Sea has an impact on our national security, and we are aware that we will need to consider our response”. In other words, though Japan has no direct territorial interest in the South China Sea, but its likelihood to check China’s military muscle-flexing in the South China Sea is seemingly attributed to its own national security interest – which entails maintenance of peace and stability in the region. What is clear is that new actors are now into play in the South China Sea crisis – US and Japan mainly to balance China. Therefore, such a band-wagoning act by US and Japan in China’s sphere of influence has raised China’s security concerns. As noted, China and Japan are already entangled in the East China Sea over the sovereignty of a group of islands (Diaoyu / Senkaku). And another face-off with Japan beyond the East China Sea into the South China Sea is likely to intensify the tensions further. 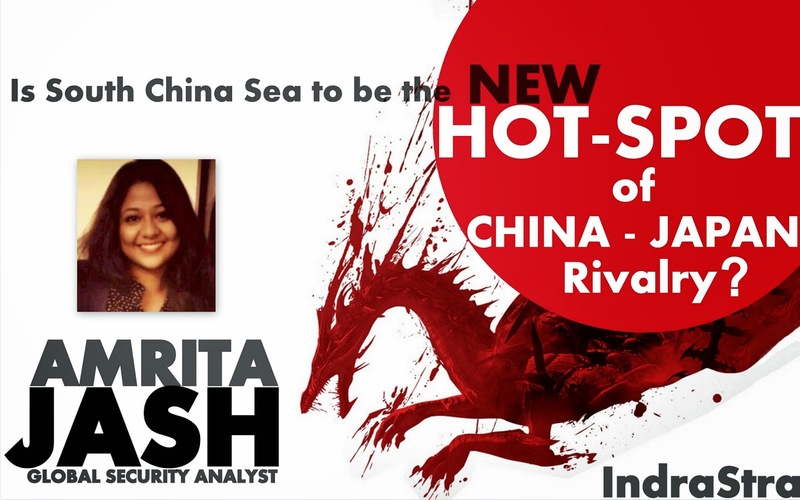 With Japan’s military balance to China’s territorial claims of the nine-dash lines in the South China Sea is likely to witness another theatre of action-reaction, thereby, contributing to further spiralling of tensions. In response to US idea of balancing China through Japan has invited strong reactions both from the Chinese Government as well as the media – warning Japan to avoid any tensions. Rejecting the participation of new actors, Chinese foreign ministry spokeswoman Hua Chunying responded that: “Countries outside the region [US and Japan] should respect the efforts of countries in the region to safeguard peace and stability, and refrain from sowing discord among other countries and creating tensions”. 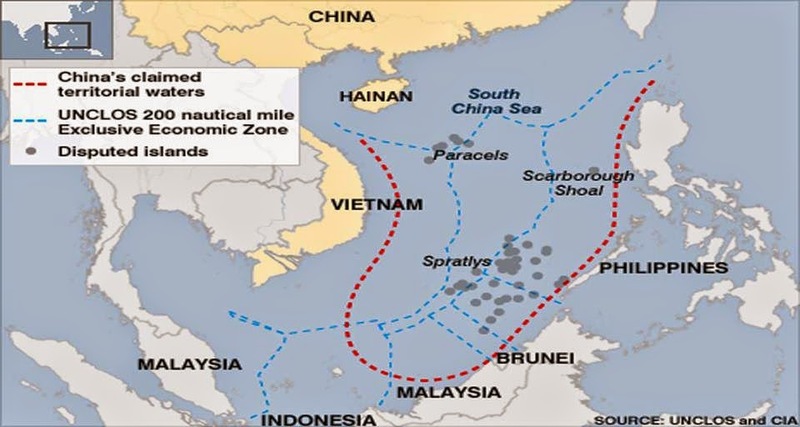 However, the Chinese media’s response came much stronger as Global Times argued that in such circumstances China could declare a South China Sea ADIZ, quickening or expanding land reclamation efforts in the South China Sea or strengthening military cooperation with Russia in Northeast Asia. Similarly, Xinhua specified that Japanese patrols would raise tensions with China and that with Japan’s commissioning of a new surveillance plane, the P-1, with an 8,000 kilometer range, signifies its military capability to conduct these patrols in the South China Sea. Hence, US-Japan joint move to balance China calls for serious security implications in the region. As such a strategic move awaits greater security dilemmas in the China-Japan rivalry. It is likely that with such anomalies, China is going to be more assertive in its actions and that Japan too would take up a bigger role in Asia to counter China. Therefore, with these unfolding circumstances, a China-Japan collision cannot be outlawed and that South China Sea can be the hot-spot where the collision may be played out.